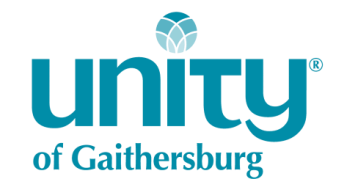 Unity of Gaithersburg welcomed Rev. Sheryl Myers as our minister in September 2015. Rev. Sheryl has pursued spiritual growth as a student and teacher of Unity classes since 1996. With the loving support of her mentoring minister, Rev. Eileen Goor, she became a Licensed Unity Teacher and, later, an ordained Unity minister. Sheryl graduated with a Master of Divinity from Unity Institute and Seminary in 2009 and was part of the formation team of the seminary's Alumni Association. She has a B.A. in Sociology from the University of North Carolina at Charlotte and has also completed two coaching programs. Rev. 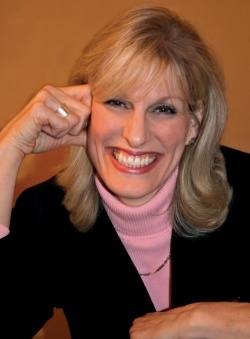 Sheryl served Unity of the Heartland in Olathe, KS, as interim and then minister for six years. She has also served on the Unity Institute and Seminary Academic Governance Council and was an adjunct faculty member at the Unity Institute and Seminary's Spiritual Education and Enrichment Program. Over the course of her professional life, Rev. Sheryl has worked with seniors, served the public at 30,000 feet as a flight attendant, shaped the music program as music and choir director at her home church, and built a life coaching and consulting practice in the Washington, DC, area. She has also facilitated the spiritual discernment process, Participating in Life's Unfolding, with Unity church board members, lay leaders, and congregations around the country. Rev. Sheryl is delighted to now serve the Unity of Gaithersburg community and share in its spiritual unfolding. She is glad to be back in the DC area to enjoy the company of close friends and the region's rich cultural experiences.